Miracle balloons are landing in Rite Aid and will help bring comfort and healing to kids treated at CMN Hospitals nationwide this spring. For 25 years, Rite Aid associates and customers have passionately supported children’s hospitals and been a caring neighbor in each community they serve. Through May 11, Rite Aid customers can support their local CMN Hospital and help sick and injured children by visiting their local store and purchasing $1 paper miracle balloons. Customers will receive $7 in coupon offers for a variety of items sold at Rite Aid—all while helping to fund research and training, purchase life-saving medical equipment and pay for critical treatments and healthcare services. Funds raised help kids like JaKiah, who was diagnosed with kidney cancer when she was just 4 years old. During a routine checkup, JaKiah’s primary care physician noticed swelling in her abdomen. They initially believed it was a minor infection, but soon discovered it was an advanced stage of Wilms’ tumor. JaKiah underwent months of chemotherapy, radiation therapy and surgery. Today, JaKiah is cancer free, thanks in part to the care she received at her local children’s hospital. 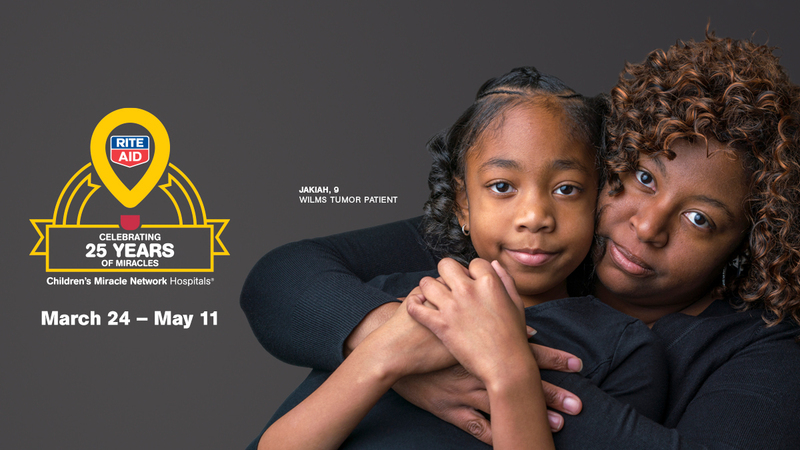 Do your part for kids in your community by visiting your neighborhood Rite Aid from March 24 to May 11 and make a donation to help kids like JaKiah live better. Since becoming a corporate partner in 1994, Rite Aid has raised more than $92 million for Children’s Miracle Network Hospitals. We don’t any more Rite-Aid stores in the Triad because they bought out by CVS and Walgreens stores.